A 34-acre parcel on Atkins Rd. is among the properties town selectmen have decided to auction off in order to get the land back on the tax rolls. ?The Atkins Rd. 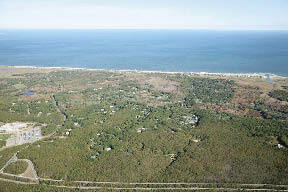 site is one of 11 tax title properties to be sold at a public auction on Dec. 6 at the Oak Crest Cove Yacht Club. The auction will be administered through Zekos Group Municipal Auction Strategies. Founder Paul Zekos said, "The bulk of our business is selling off assets for cities and towns and more specifically, tax title properties." The firm also performs traditional foreclosure and private real estate auctions." The Zekos Group has collected data regarding the listing of the land parcels and field cards all at www.zekosgroup.com.